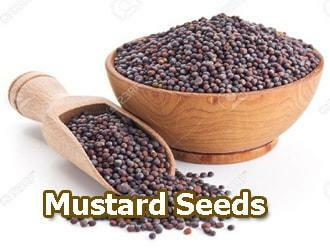 Mustard seeds is healing many health problems. Mustard seeds contains C, K, E and B vitamins. It also contains magnesium, calcium, potassium and iron minerals. 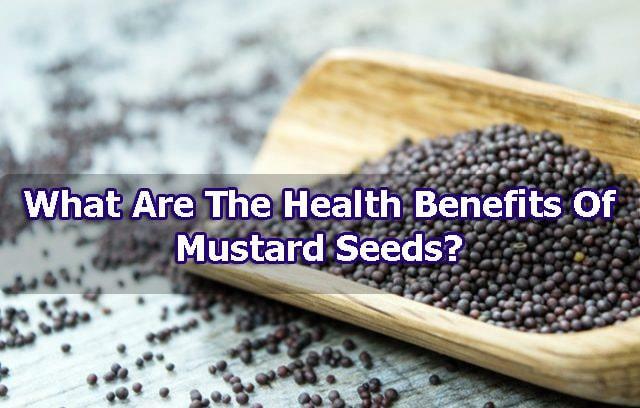 What Are The Health Benefits Of Mustard Seed? • Aches Heal Muscle: Mustard seeds help heal muscle aches and relax muscles with magnesium and potassium minerals contained in them. If you have muscle pain and want to try mustard seeds, you will need to apply mustard seeds to your pain areas by making them mash. • Lowers Blood Pressure: Mustard seeds are found in different types, not one type. Blood pressure is measured in millimeters of mercury (mm Hg). The benefits of mustard seed also include sudden strokes and preventing the risk of heart attack. • Cleanse Your Body From Toxins: Another benefit of mustard seeds is to cleanse the body from toxins. Helps you stay healthy by purifying your body from toxins. • End Of Insomnia Problem In Women: Mustard seeds are good for the problems of insomnia in women who are entering menopause. You can use mustard seed to put the sleep pattern on its way during this period, provided that you do not consume too much. 1. The Black mustard seed opens the appetite of the weak people and stomachless. 2. Black mustard herb is good for rheumatism and bronchitis. 3. Black mustard has an effect on vomiting in people who are poisoned. 4. You can benefit from white mustard seed oil. 5. Mustard grass is good for intestinal laziness and ends indigestion. 6. If your chest is stiff, you can soften your chest with mustard herb. 7. In the winter months, mustard herb cures cough and flu. 8. If you get cold, you should eat mustard. 9. When you have irregular menstrual periods, use mustard instead of taking pills. 10. In cases of infection, if you have a very frequent influx, use mustard seeds. 11. Mustard herb takes foot and shoe fragrances one by one. 12. Mustard increases sexual desire, giving strength and power to both sexes. How To Use Mustard Seeds? Mustard bath water can also be added as a seasoned spice. Externally, the following diseases are good for use. To Open The Appetite: Grind mustard seeds like flour and add cinnamon and consume them. For Low Back Pain: 1 spoon mustard seeds 2 spoon of linen to add and make MOP while warm to the place and wrap. For Gastritis: As soon as you wake up every morning, add 1 cup warm water 1/4 teaspoon mustard seeds. Continue for 20 days. 1. Mustard Essential Oil is good for rheumatism. 2. It helps to heal the pain caused by calcification in the body. 3. It prevents inflammation in the lung membrane. 4. Reduces the pain you suffer when you cough, allows you to stop coughing. 5. Massage your feet with mustard grass, you can relax your feet. 6. It allows the blood to be ejected from the internal organs. How To Use Mustard Essential Oil? • Inclusion: You can consume mustard oil by mixing it with water. 1 drop of mustard oil is added to a cup of tea and can be consumed twice a day. • Externally: You can use it by adding to the bath water. 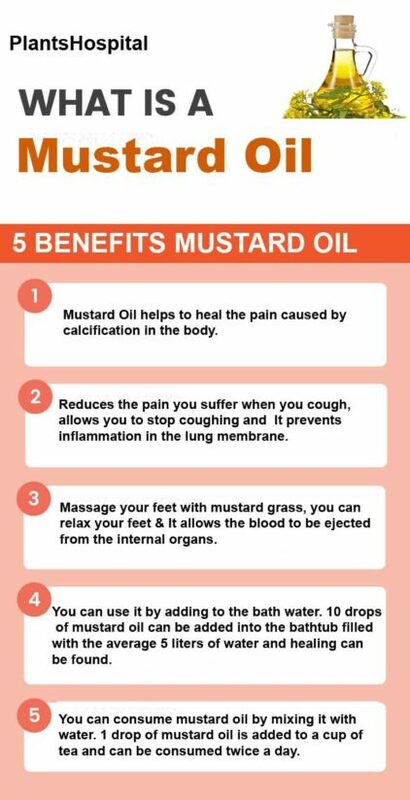 10 drops of mustard oil can be added into the bathtub filled with the average 5 liters of water and healing can be found. 1. The direct contact of mustard seed and mustard oil with the skin should not last too long. May cause sensitisation by skin contact. 2. If you’re going to use black mustard, watch your eyes. Smoke burns eyes and makes cough. 3. Intestinal and stomach also causes blood to build up. 4. It could damage the liver. 5. Consuming excessive amounts of mustard can even cause death.